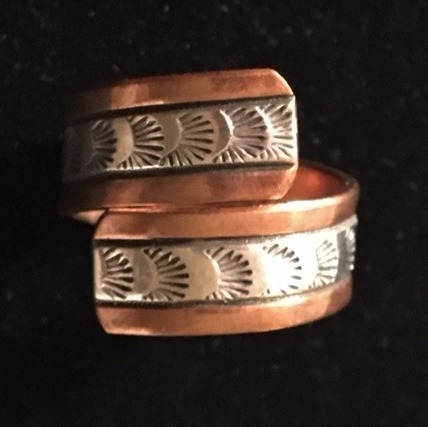 This copper ring has a Sterling stripe in the middle and is 3/4″ at its widest, the band being 3/8″. It is Navajo made by Wylie Secatero. Size 8 only.